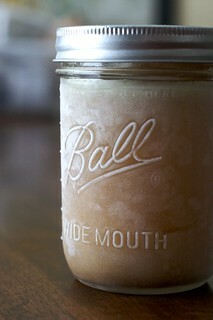 I always freeze my chicken stock in widemouth pint jars. I usually reduce my stock to double strength so a pint equals a quart. It also takes up less space in the freezer. Widemouth jars make cheap glass freezer containers. I save my used canning lids to use in the freezer, which gives me another use for them. These are much cheaper than buying the pyrex ones, and then you can use them for other purposes.